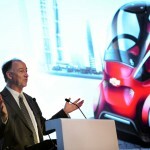 GM presented its vision of the future car in China this week, in the shape of the Chevrolet EN-V 2.0. That must be the most unsexy name an automobile has ever been awarded with. But never mind that. The car has the best of the best intentions with the world. It’s just a bit slow to turn those into reality, judging by the fact that GM already showed it at the 2010 World Expo in Shanghai. Hence the ‘2.0’ for the current update, which has now got four wheels instead of two. Must be good for balance or something. In any case, GM stuck a bunch of fancy tech stuff into the car, including sensing technology and wireless communication with other users of the ride. Not sure about the added value of the latter, as I feel it might just be quicker to just talk to each other. Seriously now though, all that is not the key point of the EN-V 2.0. 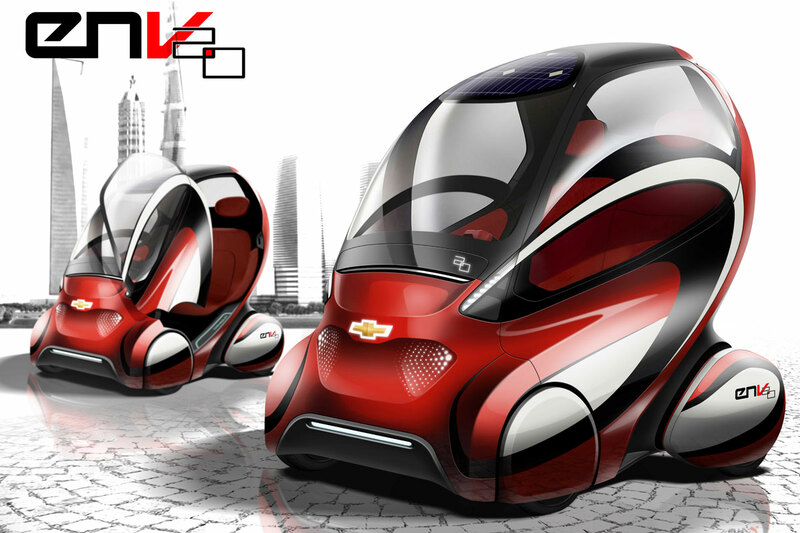 It’s its energy efficiency and its futuristic and world-improving design that matters. Obviously. So, GM clearly isn’t short of ideas on how to make the world a better place. In the meantime, however, they’ve announced they won’t be able to get Opel/Vauxhall to write black figures again any time soon. 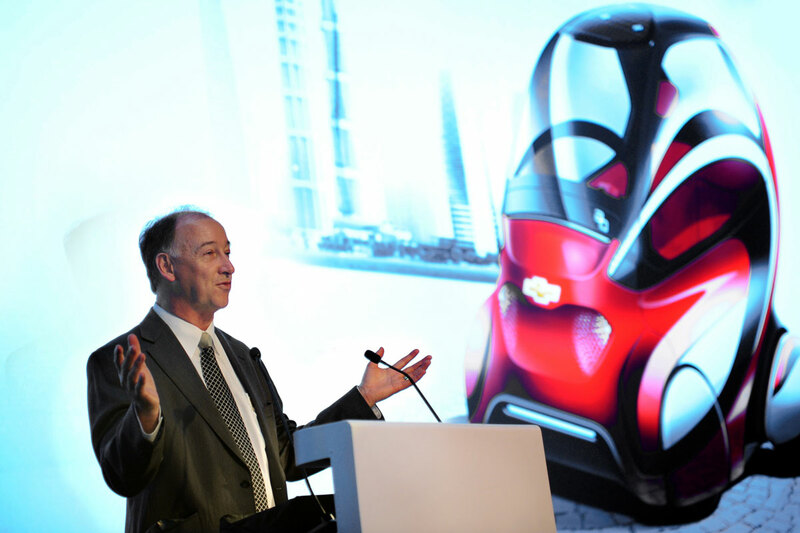 Chairman of the Board Dan Akerson said in China that the situation at the German carmaker is like a big fire and that the problem is a large misalignment between production capacity and demand. You’re not making any money, unless you’ve got a good export model, he stated. Yours truly being in China at the very moment, I’m spotting a humongous load of Buick’s over here, of very different plumage. For those that don’t know it, Buicks are GM products and looking at those Buicks closely, thesr are actually all kinds of different GM models with the badge with the three shields slapped on it. I’ve seen Daewoos with Buick logos, Chevrolets with Buick logos, Vauxhalls with Buick logos and even Buicks with Buick logos. There’s a reason for that too: Buicks are really popular in the Big Land to the East. So popular in fact, that China is Buick’s biggest market, worth almost 450,000 units in 2009. Might I suggest, GM, that you stick a Buick logo on some of those excess Opels and sell them in China? Oh wait, that’d be cannibalising their own Opel-models-with-Buick-badges production in Shanghai. 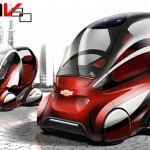 This entry was posted in News and Views and tagged car, chevrolet, China, GM, LS, Opel Vauxhall, technology, vauxhall by The Flying Dutchman. Bookmark the permalink.